On Wednesday Texas executed Lisa Coleman, making her the 15th woman in the U.S. to be put to death since the Supreme Court decision in 1976 allowing the death penalty to resume. 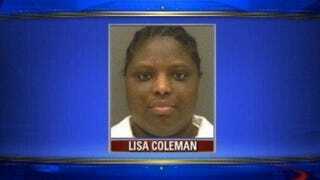 Coleman was convicted in 2004 for killing her girlfriend's 9-year-old son. According to the New York Daily News, Coleman, 38, tortured and starved the boy to death. Police found Davontae Williams' emaciated body in a North Texas apartment that Coleman shared with Davontae's mother. He reportedly was "half the weight of a normal 9-year-old and had more than 250 injuries, including burns and ligature marks." For a decade Coleman sat in prison hoping to get the court's decision reversed. The Daily News notes that a last-minute appeal to the U.S. Supreme Court early Wednesday was denied.